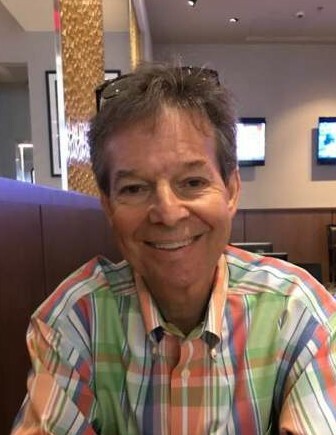 Wilson Arrington Harreld, age 61, passed away early morning on Tuesday, June 26, 2018 at his home after battling cancer. Wilson was born on September 1, 1956 in Greenwood, MS to parents Bill and Ann Harreld. He was a graduate of Canton Academy and attended Oklahoma State University. A member of the 4-H club, Wilson had a fond love of animals from a very young age. As a child, he enjoyed showing cattle for Madison County and while in attendance at OSU participated as a member of their Rodeo team. He excelled at roping as well as saddle bronc & bull riding. Wilson worked on a ranch in Montana and gained true experience of living life on the range driving cattle. He loved the smell of a horse and the sounds of a cattle herd. His years as a true cowboy were his happiest. Eventually he became the owner and operator of the Mid-Mississippi Livestock Barn. Following his cowboy days, Wilson became a petroleum land man and first worked in North Dakota and loved his work in the oil business. Over the years he worked in many states buying oil leases for Callon Petroleum Co. out of Natchez, MS.
Another one of his passions was for his Ole Miss Rebels. He was known for calling and texting his friends and family on game days and reminding them to “Get Your Game Face On” and “Hotty Toddy”! Wilson Harreld was preceded in death by his parents. He is survived by a vast amount of loving family. Wife, Jo Lynn, and his daughter Crystalin Lewis (Shane), his son, Wyatt Harreld, his stepdaughter, Kristin Bates and his grandchildren, Ethan Lewis (age 9) and Emerson Grace Lewis (age 4). He is also survived by his siblings, brothers Billy Harreld, Jim Harreld (Tami), John Harreld, sisters Mallie Harreld and Lee Ann Damiens (Roy). Others include Keaton, Sawyer, and Madden Bates and many nieces and nephews. Finally, he is survived by his great aunt, Virginia Harreld Schenk of Chesterfield, MO (age 101 years). The family would like to thank the care givers, who over the past months, have helped to provide love, care, and comfort to Wilson. Smith Baldwin, Frankie Luckett, Leigh Halbert, Fran Sutton, Lula Mae Kelly, Katherine Hunter, Lavern White, and Ernestine Luckett. Also Hospice Ministries for their professional and loving care. The kindness and selflessness of these individuals is appreciated more than can be expressed. Wilson was a devout Catholic and communicate of Sacred Heart Catholic Church. His strong faith is what led him through his battle with cancer. Services will begin with a visitation at Breeland Funeral Home on Thursday, June 28th from 4-6 pm. A funeral is planned on Friday, June 29th at 11 a.m at Sacred Heart Catholic Church in Canton, MS with a one hour visitation beginning at 10 am at the church. Wilson will be buried at Canton Cemetery. In lieu of flowers, donations to Sacred Heart Catholic Church are appreciated.